Fette Sau | Oh No! Not Another NYC Food Blog! 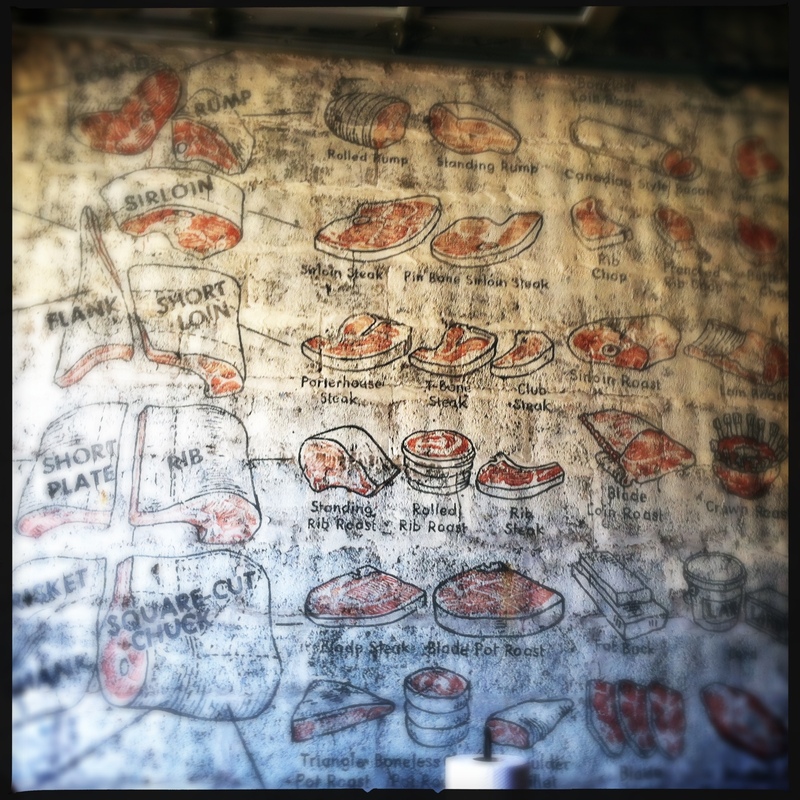 Don’t let the frou-frou name fool you, this place is packing some serious meat skills. My DH had the Black Angus Brisket – This was fantastic; almost as good as his gold standard Texas brisket against which all other briskets must be compared. Tender, smoky, beefy, everything you could want in a brisket. Really, the only thing missing was hushpuppies & red pepper flakes in the vinegar. We also had an order of the Burnt Ends Baked Beans – These beans simmer all day beside the brisket and get little chunks of beef reinforcements all day. I loved the background burnt caramelized complexity – the DH less so. These beans were sweet. Sweet, beefy, hearty, and good. Minimal long tables with bench seating, meat diagrams on the walls, fake fireplace & knife blade beer tap pulls. You order at the counter and find a seat as you can. Fette Sau gives (at least these) displaced North Carolinians that particular type of deep soul satisfaction that only comes from ingesting big hunks of smoky meats. We’re only sad we didn’t find this place day 1. 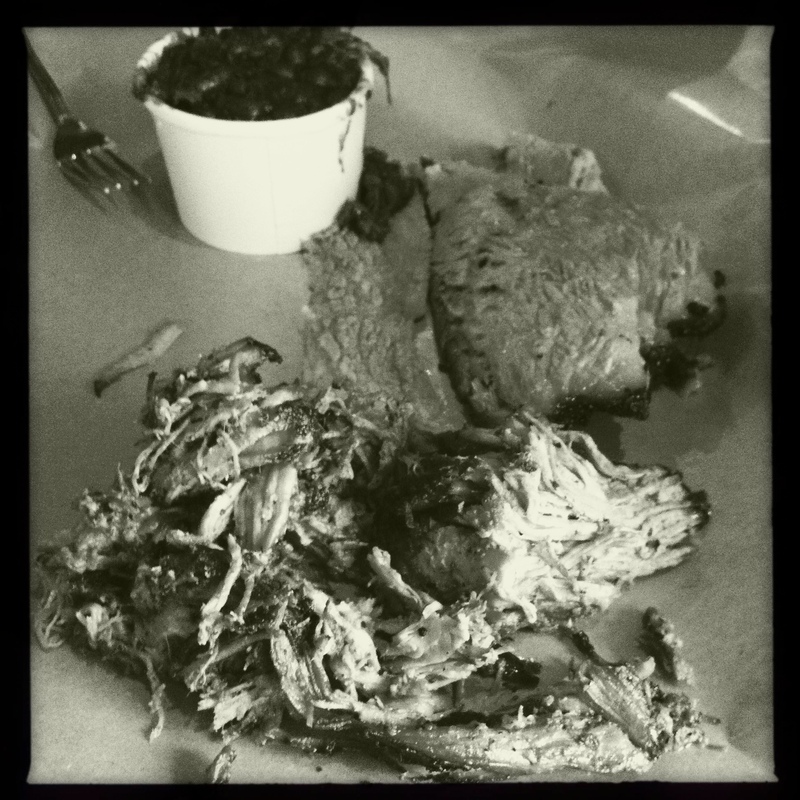 5 out of 5 – if you want pig, this is the place to be. 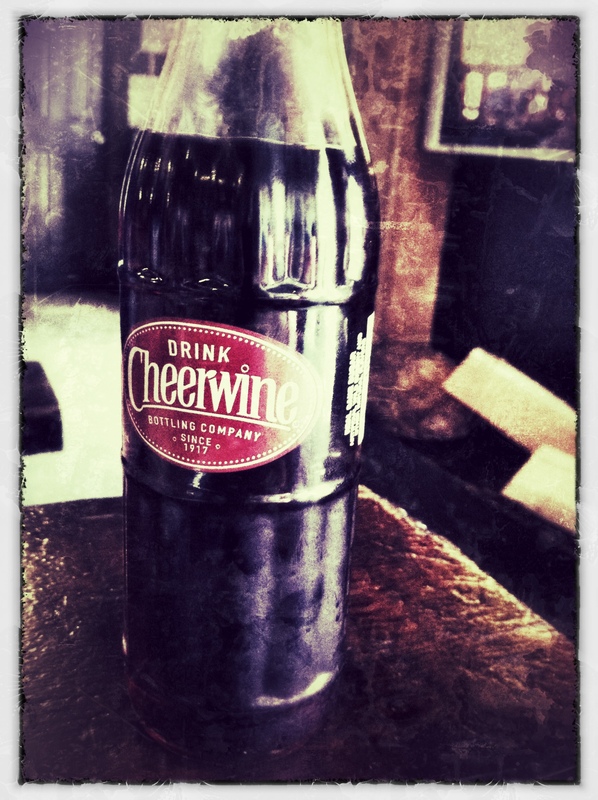 Oh yeah, and they have Cheerwine!